Jim Harris is a former Merck executive with 30+ years experience in the life sciences. His expertise is in business creation, commercialization and brand marketing. Since retiring from Merck in 2012 he has become an active supporter and serial entrepreneur in the life science start-up community. He co-founded PolyCore Therapeutics LLC, a spinout from Drexel University focused on CNS diseases, J2 Bio-Pharma, LLC a company focused on acquisition and commercialization of specialty pharmaceutical products, and founded BioRegenics, a spinout from New Jersey Institute of Technology, developing a surgical implant to repair damaged articular cartilage. Prior to leaving Merck, Jim served as Executive Director for Merck’s US Diversified Brands Franchise, which he built, launched and led for the company. The franchise included 25 brands in nine disease areas. While at Merck he developed a reputation as an entrepreneurial leader with proven results maximizing various challenging business stages such as rapid ramp-up of start-ups, accelerated strategy development and implementation for revenue optimization scenarios and quick turnaround of under-performing businesses. 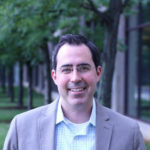 Jim also serves as a QED business advisor and steering committee member at the University City Science Center, located in Philadelphia, where he provides hands-on mentoring to early stage researchers and life science companies as part of the QED sponsorship program. Mr. Harris received an MBA from California State University, Sacramento. Before becoming CSO at LignaMed, Dr. Sielecki worked as Vice President, Preclinical Development of Cytokine PharmaSciences, Inc. a company focused on inflammatory disease and women’s health through small molecule development and controlled release. At CPSI Dr. Sielecki ran programs in oncology, inflammation, and women’s health from early lead discovery through to Phase I and assisted in Phase II and III study design as her primary focus. As part of the management team, she was also a member of teams to manage product portfolio, in-licensing, intellectual property management, and company strategy. CPSI was successfully sold to Ferring in 2012. Prior to CPSI, Dr. SIelecki worked at DuPont-Merck and Bristol-Meyers Squibb as a Principle Research Scientist and continues to consult for pharmaceutical and biotech companies in the management and evaluation of early research, preclinical and early clinical studies. During over 30 years of research and development experience, Dr. SIelecki has been involved in over 40 preclinical and clinical research programs with multiple programs reaching marketing approval. Programs she has been closely involved in include CPSI-2364, CPSI-1306, Misopessc, c-VadTM, PilobucTM, DMP754, DMP802 among others. Her experience spans oncology, inflammation, women’s health, CNS diseases, and antibacterials with a strong background in drug delivery and controlled release delivery systems. Dr. Sielecki has a PhD In medicinal chemistry from Colorado State University and completed a Post Doctoral research position at Stanford University. She has over 60 publications and patents over her career. Dr. Christofidou-Solomidou is a Research Associate Professor of Medicine at the Perelman School of Medicine of the University of Pennsylvania and an investigator of UPenn’s Abramson Cancer Center and Center of Excellence in Environmental Toxicology (CEET). She is an NIH- (NIAID, NCI, NCCIH, NIEHS) and NASA-funded investigator actively involved in preclinical (animal models) and clinical studies of lung disease, lung cancer and mesothelioma. Dr. Christofidou-Solomidou has been recognized for her scholarship through peer-reviewed publications, national and international speaking engagements and awards by the American Thoracic Society, American Institute for Cancer Research, American Heart Association, National American Lung Association and others. She serves as a journal reviewer for the American Journal of Physiology, Lung Cellular and Molecular Physiology, Respiratory Research, Antioxidant and Redox Signaling, Thrombosis and Hemostasis, International Journal of Radiation Biology, Radiation Research, Journal of Nutrition, International Journal of Radiation Oncology, Biology, Physics, American Journal of Respiratory Cell and Molecular Biology and other. She is an editorial board member for Pulmonary and Respiratory Medicine. Dr. Christofidou-Solomidou received her bachelor’s degree from the State University of New York (SUNY) at Stony Brook and her doctoral degree from the University of Bonn in Germany. She completed post-doctoral studies at the Albany Medical College in New York and at the University of Pennsylvania in Philadelphia. Dr. Dishowitz manages a portfolio of PCI Ventures startup companies, focusing on the medical device, biotechnology, and therapeutic sectors. His primary responsibility is to build businesses that commercialize Penn intellectual property by recruiting management, developing business strategies, fundraising, supporting company operations, and executing deals. He is also the director of Penn’s medical device startup accelerator, DevelUPmed, and manages several capital acquisition and business development programs. Prior to joining PCI Ventures, Mike was a member of PriceSpective, a boutique consulting agency, where he specialized in determining asset valuation and pricing & market access potential of emerging life science technologies. Before entering industry, Mike spent several years in academia, studying the impact of cell signaling pathways on orthopaedic tissue and repair. He is also co-founder of a startup company based on his thesis research that uses a combination drug-device to promote bone formation and regeneration. Mike graduated with a B.S. in Mathematics from the University of Florida and a Ph.D. in Bioengineering from the University of Pennsylvania. Chairman, President and CEO at Liquid Biotech USA, Inc. Dr. Sass is a senior executive with broad experience that spans developing a business model and plan, obtaining $4M in seed funding from Angel investors followed by raising an additional $86M over three venture backed institutional financing rounds to successfully exit and sell an organization to a large pharmaceutical company for $325M. He previously served as COO and EVP of Morphotek Inc. and EVP and Head, Biopharmaceutical Development at Eisai. Dr. Sass was a Director at Magainin Pharmaceuticals and Senior Scientist at American Cyanamid. He also served as a Research Assistant Professor, University of Illinois at Chicago, Visiting Assistant Professor at New York Medical College and a Research Associate at Weill Cornell Medical College. Dr. Sass graduated from the University of Miami in Coral Gables, Fla., with a degree in Biochemistry and received a Ph.D. in Biochemistry from Indiana University in Bloomington, Indiana.